Archaeological findings in Monte-Verde prove that people lived on the territory of contemporary Chile 12 thousand years ago. According to researchers’ opinion, they built their life in a strict concord with natural cycles and created their culture in harmony with environment. Meals were cooked from wild fruit and meat hunted animals. Both people and certainly their meals have changed through millennia. Chilean cuisine developed actively and kept the most delicious meals after trying thousands of recipes. The aroma of meals in this prosperous Southern American country keeps the unique combination of that ancient indigenous culture with relatively new one which arrived in the region together with colonizers of 16th century. Immigrants from Europe who flooded South America later brought their traditions in meals cooking. Chilean recipes keep “corrections” of German, Italian and even English cooks. On Indian lands Spanish conquistadors cultivated grapes, olives, walnuts, chestnuts, wheat, citrus plants, garlic and spices, raised sheep, rabbits and chicken. But it is a well known fact that long before the emergence of Spanish culture in Chile indigenous Amerinds (short from American Indians) widely consumed cereals, corn in particular. The combination of products which were used by Spanish and Amerinds resulted in popular meals which are considered national ones till nowadays. Thus, corn cakes tortillas and various appetizers on their basis are famous all over the world. Borrowed from Mexicans Chilean tortillas are thinner and saltier. Since mid 19th century immigrants from Germany started to introduce European bakery recipes into Chilean cuisine. Since that time it has become a tradition on South America continent to use different berries and fruit both for desserts and various preserves and jam. Italians made an analogue to ice-cream – they covered Chilean fruit with icing. Inhabitants of Arab countries showed how to use herbs and spices and taught how to combine sweet and salty in one dish. The British brought tea and gave Chileans tea drinking lessons; the tradition of drinking tea with milk is nowadays widely spread. French cuisine came to Chile only in 20th century and influenced the origin of a unique Creole style: many Chilean dishes began to be served with wine or pisco. Pisco in Chile is a traditional strong drink made from grapes according to ancient recipes. A lot of cocktails are made on the basis of this brandy (it is also called liquor). Pisco is very often drunk with lemon juice, sugar powder, frothed whites of eggs or coca-cola and a large amount of ice. Fans of cocktail “Pisco Sour” may be found in countries which are located very far from Chile. Chilean art of cookery is a striking mixture of styles which is represented by a wide range of products - land and sea gifts. For several centuries with Chile being a colony, Spanish, Creole and Amerind cooks made local variants of “domestic” European recipes. As the country stretched for thousands of kilometers from the subequatorial zone to high latitudes, dishes and recipes differ greatly. Gourmets divide a Chilean gastronomical map into three zones. The Northern part to the great extent has ties with culture of peoples Aymara and Atakameno who lived in the Andes. The cuisine of this mountainous region in comparison with others is less various. Here people prefer grilled meat, salty and dried lama meat, and stewed vegetables. The cuisine of the Central region is influenced by immigrants. One can see a great amount of fruit, herbs, bread and corn cakes on the table. Humitas, corn paste boiled with spices and wrapped with its leaves, is delicious. In every tavern you will be offered porotos granados – traditional Chilean soup cooked with beans, pumpkin, basil, corn and red paprika. One of the tastiest and most widely spread is cazuela – meat soup with various spices, potatoes, corn, and pumpkin. This dish may be found on the menu of every restaurant. Еmpanadas- pies with various stuffing of meat, cheese, seafood, etc., are also very popular. Mote con Huesillo, a traditional summer beverage boiled with wheat grains and dried peaches, will refresh you when you are hot. It is sweetened with sugarcane and is served cold. What a variety of fruit and vegetables, from papaya, grapes, bananas, pineapples, kiwi to avocado, tomatoes and cucumbers, you can see! An inexperienced European will be also amazed by a great amount of wild berries. Climatic peculiarities enabled the Central region to become heart of Chilean wine industry. The best fertile valleys of the country are found here, among them are Maipo, Maule, Curico, Rapel, and Colchagua. 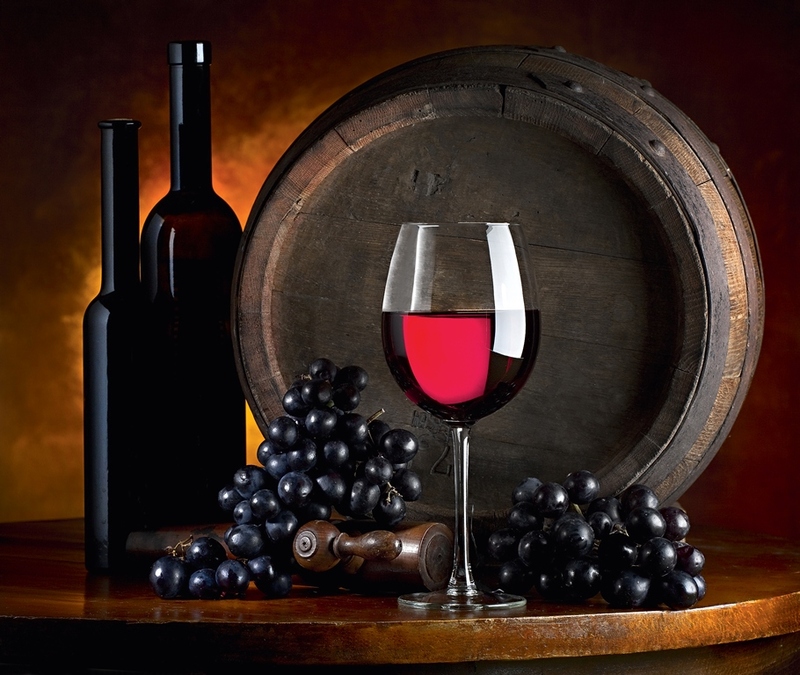 Chilean Cabernet Sauvignon, Merlot, Tempranillo are popular both in the country and abroad. Southern Chilean culinary has close ties with cuisine of the Indian people Machupe and abounds traditional recipes, the basis of which is wheat, potatoes, pea, beans, garlic, onions, cayenne and corn. The taste of local dishes is influenced by the cuisine of the peoples living on Chiloe Island. It is rich in seafood dishes. Southerners are proud of their curanto, one of the favourite national dishes. It is cooked with fish, cancroids, fowl, pork, lamb, beef and potatoes. All ingredients layer by layer are placed into earth pit onto red-hot stones, covered with juicy leaves and stewed. Soup with urchin is not appreciated by everybody, but this dish, rich in iodine, is very popular among Chileans. Chile is considered the country with the most delicious seafood, which you can enjoy in numerous restaurants. Crabs and lokos, a variety of mollusk “Sea Ear”, are particularly tasty. Chileans like barbecue Asado al palo (literally meat on a stick) when the whole lamb or pork carcass is grilled on wooden sticks stuck into the ground. Chilean pastry is also deserves attention. It is represented by such desserts as alfajor (honey spice cake), leche asada (a dessert from caramelized milk), masedoniya (fruit in syrup), arroz con leche (rice boiled in milk with sugar and cinnamon which is served cooled). Chilean cuisine is likely to be one of the most Europeanized in Latin America, harmoniously combining ancient motives and modern traditions. However, a new trend has recently originated in Chilean culinary; it is a refusal of ingenious and age-old tastes. Chefs are constantly experimenting with old recipes… but it is quite another story.